Mixing fire, dangerous goods and human beings is a serious business - and it’s something we factor in from concept to creation. 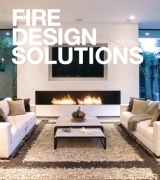 EcoSmart Fire is researched and developed by our in-house design team, tested by independent facilities, and fabricated according to our own exacting standards - the EcoSmart Fire is an expression of our commitment to creating the best. 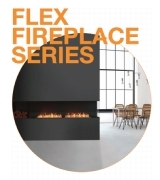 The combination of rigorous testing, independent certification and leading fireplace safety features is why EcoSmart Fire gives you priceless peace of mind. Safety is infused into every aspect of our product process, from the quality of research and development, to the operational system and built-in safety features. 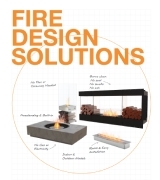 Our streamlined, stainless steel ethanol burner designs are easy to keep clean and maintain. Special burner fabrication eliminates unstable flame behaviour and because it’s 100% stainless steel, it can be washed out in hot water to remove any build-up of denaturing agents. Safety for us is not just about the housing of the fuel, it’s also about ensuring that your burner stays in peak condition for years to come, and burns cleanly and efficiently the way nature intended it to. and we consistently deliver best practise solutions. Our burners feature a patented filling point that is separated from the ignition zone and engineered so that the jerry can spout is fully supported prior to releasing the fuel supply. This eliminates the possibility of spilling when fuel is decanted into the burner. Every EcoSmart Fire product displays the logo and marks of authenticity on its body so that you can be certain that you’re using the best product available in the market. Our burner tanks are seamless as they are fabricated through a deep-drawn process which eliminates the potential for dangerous leaks. Each burner is batch labelled and marked for efficient tracking in the unlikely event of a technical fireplace issue. There are two safety markings etched on the top face of the ethanol burner to remind users never to fill the burner while hot, or in operation. Fuel level markings help determine the amount of fuel in the burner and indicates the MAX fill line for safe fireplace operation. 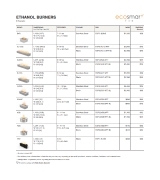 The design and construction of our ethanol burners intentionally introduce safety measures at various stages of operation. All burners come with accessories for the safe fireplace operation.